Say What! Priyanka Chopra-Nick Jonas headed for divorce? Here’s the truth! Home Bollywood News Say What! Priyanka Chopra-Nick Jonas headed for divorce? Here’s the truth! Priyanka Chopra and Nick Jonas had a big fat wedding in December at Umaid Bhawan Palace in Jodhpur. The duo has since then been setting some major couple goals. Pictures and videos of their outings and vacations with the Jonas Brothers have set the social media on fire. Their PDA and chemistry in the shared photos is the reason why fans believe in fairy tale romances. But a recent report by an International magazine OK! has created an uproar among the Nickyanka fans. 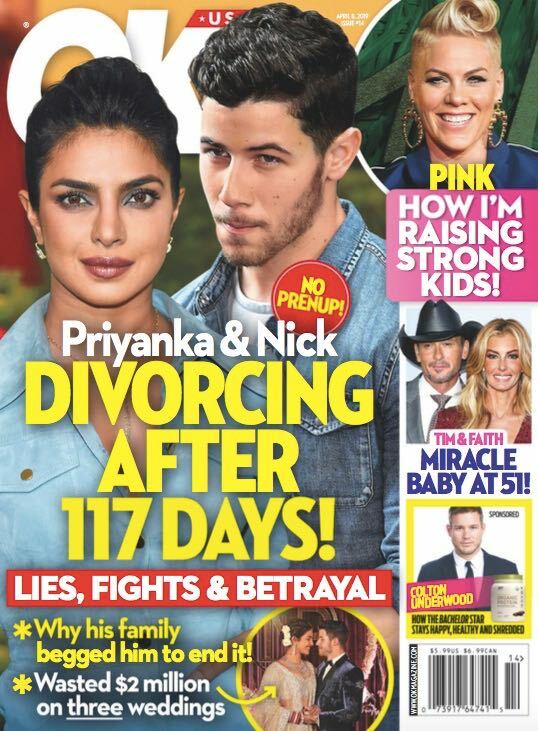 The report states that Nick and Priyanka are headed for divorce within four months of marriage. As per the said report, the couple are into the last legs of their marriage due to incompatibility. Priyanka’s representative has apparently told sections of the media that the story is nonsense and hogwash. 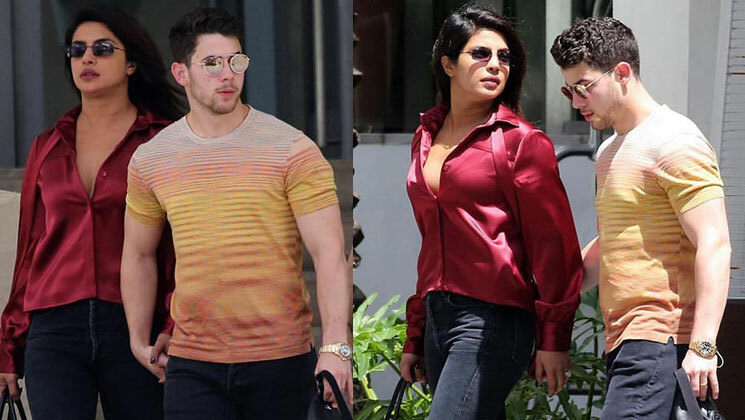 The report had said that Nick and Priyanka rushed into marriage and are now fighting over everything – work, partying and spending time together. Their marriage is hanging by a thread. Jonas believed the actress was cool and easygoing when they got married, but recently, Nick’s seen a controlling side to her. She also has a temper – that’s something Nick wasn’t aware of until after the wedding celebrations. His family is asking him to divorce PeeCee as soon as possible. Meanwhile, Nick and Priyanka are at present vacationing in Miami. Pictures and videos of their vacation have been trending on the social media.